A country so vivid and known for some awkward prathas (rituals) be it Sati Pratha (wives used to burn with the husband) or Dahej Pratha (dowry) is coming out of it and now pacing with the global trends. Sati Pratha got abolished from india few decades back, thanks to Raja Ram Mohan Roy. 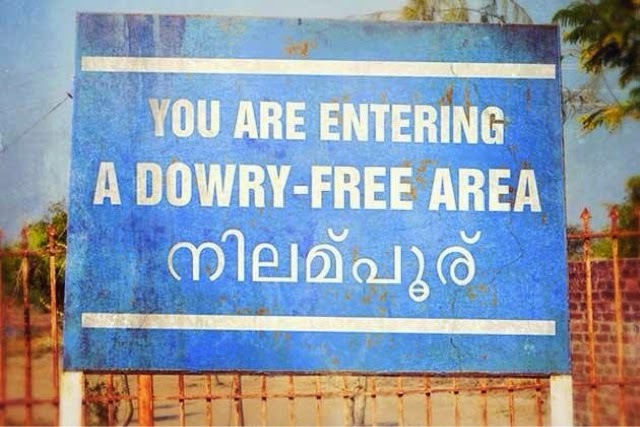 And now dowry free district in Kerala. Nilampur claims to be the first ever district in India with no dowry system during marriages. Nilampur is also known for 100% matriculated population.